Heinz is launching a raft of activity to celebrate half a century since the debut of its famous ad slogan, "Beanz Meanz Heinz". The line, which was created by Maurice Drake in 1967 for Young & Rubicam, was voted the UK’s favourite ad slogan in 2012, edging out Nike’s "Just do it", and Ronseal’s "It does exactly what it says on the tine". 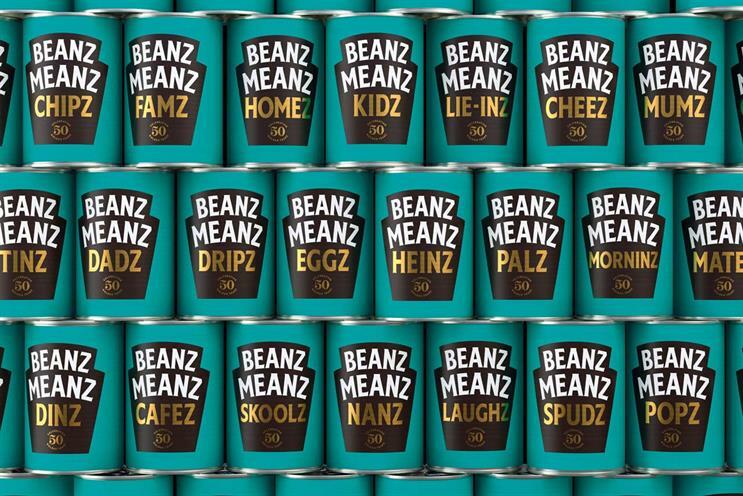 The food brand will release 50 different limited edition labels, appearing across 15 million cans of beans, while a new microsite is allowing beans obsessives to order a personalised can. Heinz is also sending a branded double decker, executed by Multiply, on a tour of nine UK cities – London, Southampton, Cardiff, Liverpool, Manchester, Birmingham, Sheffield, Leeds and Newcastle – at which visitors can take part in a dining experience on the top floor, involving baked beans with a range of fancy toppings. The lower deck of the bus features a recipe card wall, from which visitors can take home recipes created through a partnership with the Food Network, developed by OMD UK, as well as picking up a personalised can of beans. The activity will be supported through an influencer campaign, launched by OMD UK, with top influencers sharing pictures of their personalised cans, while some will be invited onto the bus to share the experience through social channels. The campaign will also run across Heinz’s own social channels. Kraft Heinz is also partnering with Capital Radio nationally to promote the personalised cans and bus tour. The radio station will give away daily prizes including a brunch experience, a spa day and a glamping weekend. 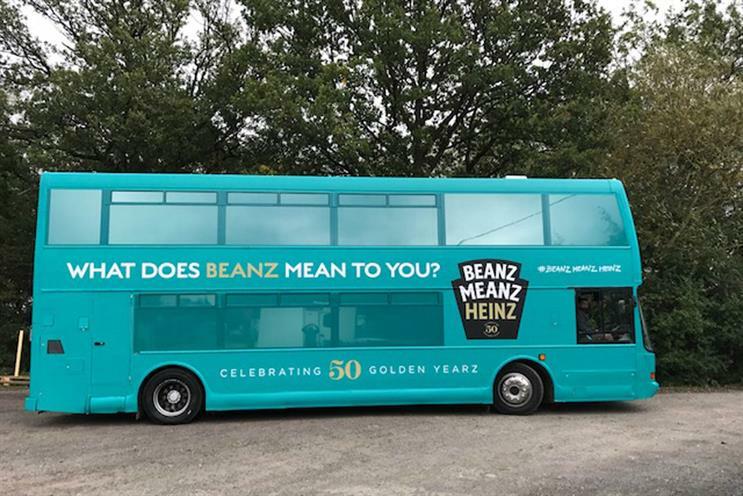 Aaron Crinion, senior brand manager at Heinz Beanz, said: "We’re celebrating 50 years of the Beanz Meanz Heinz slogan this year. Everyone has a view on what Beanz Meanz to them, which is testament to the tagline that continues to strike a chord 50 years later. "To celebrate we wanted to discover and share exactly how much Brits love Beanz and this campaign really heroes this great British favourite."